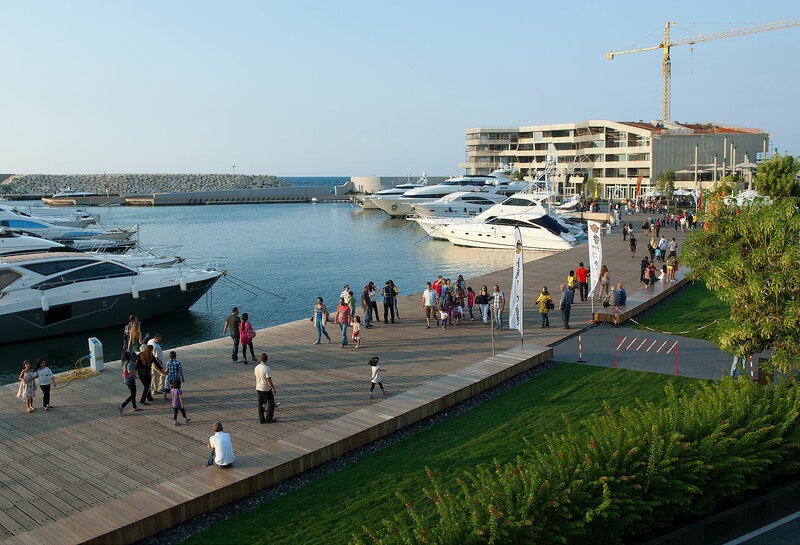 Zaitunay Bay, located around Beirut Marina, is owned and managed by Beirut Waterfront Development Company, a 50-50 joint venture between Solidere and Stow Development Company. 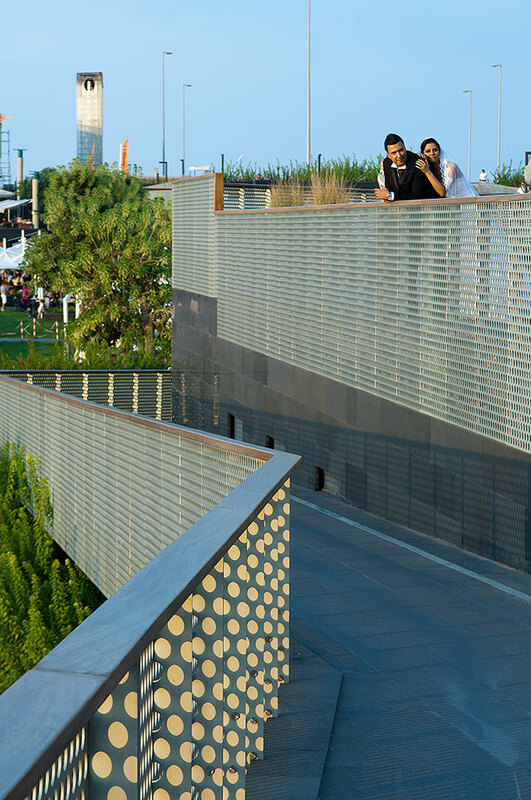 Access to the project is through the seaside promenade to the north, the planned Rafic Hariri Wahat waterside city park to the east, and the Beirut corniche to the south. A 400-space underground public car park was built by Solidere below the corniche. An innovative tourist attraction designed by Steven Holl (US) and LEFT (US) with Nabil Gholam et al., the project is conceived as an urban beach. 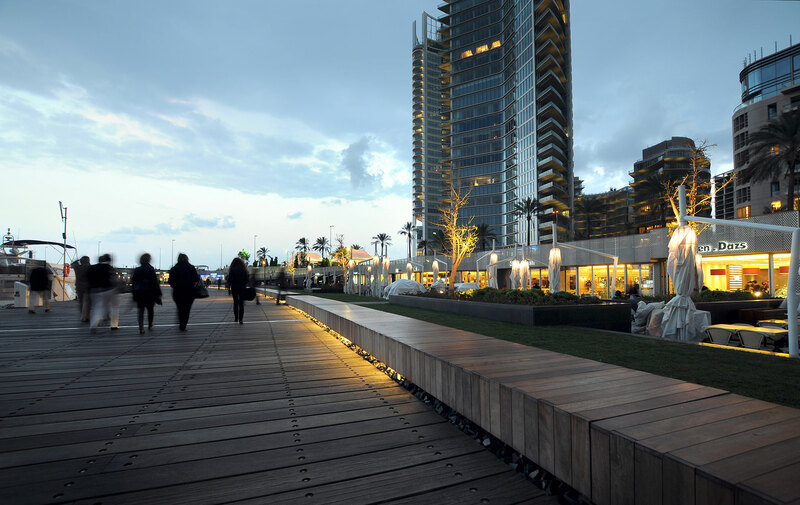 Extending the existing Beirut corniche and the new sea promenade, a series of overlapping platforms, reminiscent of sea waves, provide outdoor spaces and public areas for displaying artwork. The Quayside Restaurant Strip with specialty stores has become one of the hub destinations of the city center. 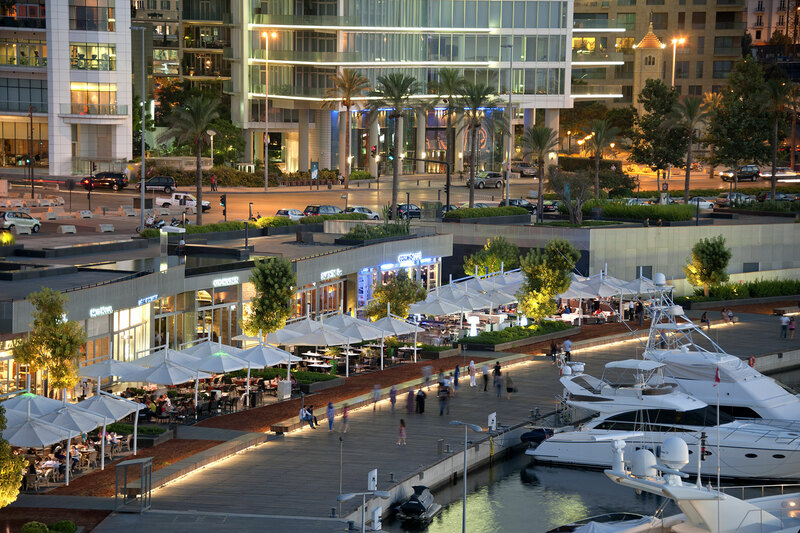 Comprising 17 restaurants and five retail outlets, it stretches along Beirut Marina, from the site’s western limit to the Yacht Club building on the east. The one-floor construction remains below street level, with the roofs forming a continuation of the Corniche. The landscape design for the entry plaza, quayside and corniche sidewalk, create open-air terraces in the form of a ‘stone beach’ over the restaurants and shops. The other component of Zaitunay Bay is the Yacht Club, which was completed in 2014. The state-of-the-art development accommodates a clubhouse and nine club suites with amenities on the ground and first level. The amenities include a swimming pool deck and bar, club restaurant, lounge bar, library, game room, and fitness and wellness center. The upper levels are home to forty-four fully serviced and furnished residences.